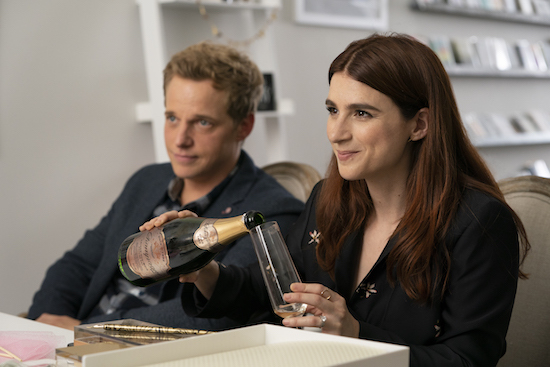 YOU’RE THE WORST — one of the best new shows from last year — returns on Wednesday, September 9th with a new season, and with a new home on FXX. And those aren’t the only shifts going on: Gretchen and Jimmy have reluctantly moved in together (after Gretchen’s apartment burned down), Lindsay is newly single, and Edgar…well, he’s still into Lindsay. For fans of the smart, yet charming, comedy, there’s also a bit of good news: season 2 will consist of 13 episodes, up from season 1’s 10 installments. For as fabulous as YOU’RE THE WORST’s first season was — and if you haven’t seen it, please remedy that ASAP: the first season is on DVD and streaming on Hulu — there was one key moment that was filmed that didn’t make it to our television screens: a Lindsay and Edgar kiss. The moment in question was supposed to come in the episode, “Equally Dead Inside,” where Edgar and Lindsay came to the (horrifying) realization that they may be sidekicks in their friends’ lives. And after they grew tired of being stood up, the duo came up with their own plan to get back at Jimmy and Gretchen. 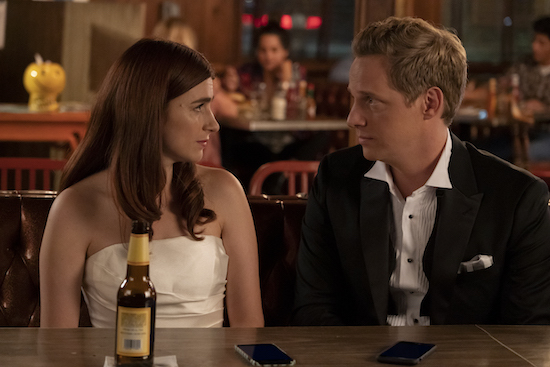 YOU’RE THE WORST — a great new FX comedy you should all be watching — is a show that lives in shades of grey. The characters might not be joyful good-doers, but they’re not, in actuality, the worst. Instead, they’re unapologetically themselves…which can make things difficult for the people around them.